Even though I don’t get around to playing as many Japanese games as I’d like to, I’ve always been a massive fan of Goichi “Suda51” Suda’s games for as long as I can remember. The famed game creator’s propensity for making so many offbeat, strange titles like Killer 7, Shadows of the Damned, and Lollipop Chainsaw has always been incredibly alluring to me for one reason or another. 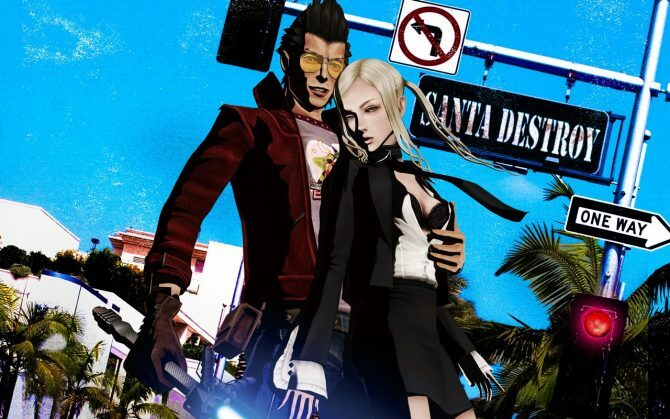 Above all other games that Suda51 has made in his career though, my favorite by far has always been that of No More Heroes. 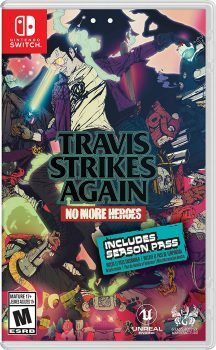 With this being said, you can imagine how excited I was when it was announced that a new game in the series was finally arriving with Travis Strikes Again: No More Heroes. 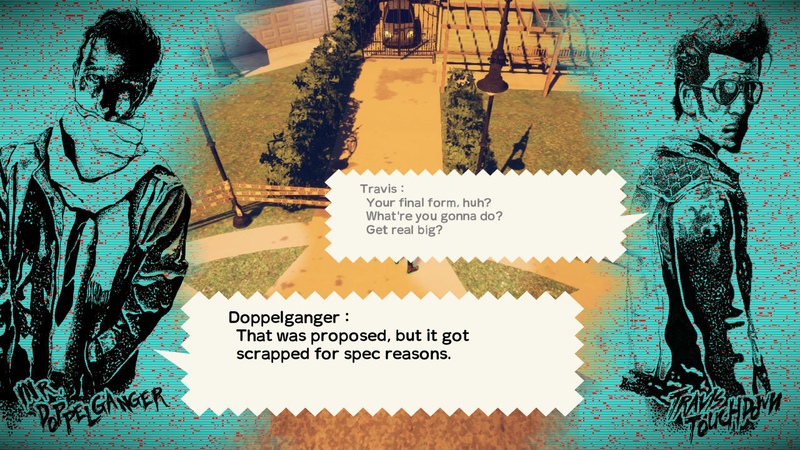 Having been nearly nine years since the release of No More Heroes 2: Desperate Struggle, I was dying to return to the world of Travis Touchdown once again, even if it was in the form of a spin-off. Fortunately, after having seen Travis Strikes Again through to the end for myself, I can say that this latest entry was able to adequately scratch my No More Heroes itch. 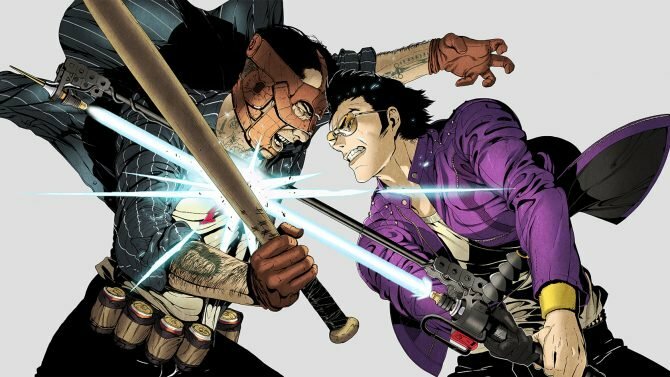 Even though it’s not perfect by any means, Travis Strikes Again makes for an enjoyable action romp that I imagine established fans of NMH will get much more of a kick out of compared to those trying to get into the franchise with this installment. The events of Travis Strikes Again find Travis Touchdown dealing with the ramifications of killing Bad Girl, a character from the original No More Heroes. Bad Girl’s father, appropriately named Badman, tracks down Travis to kill him, only for the two to then get sucked into the Death Drive Mk-II, a video game console that Travis is currently in possession of in his makeshift trailer home. 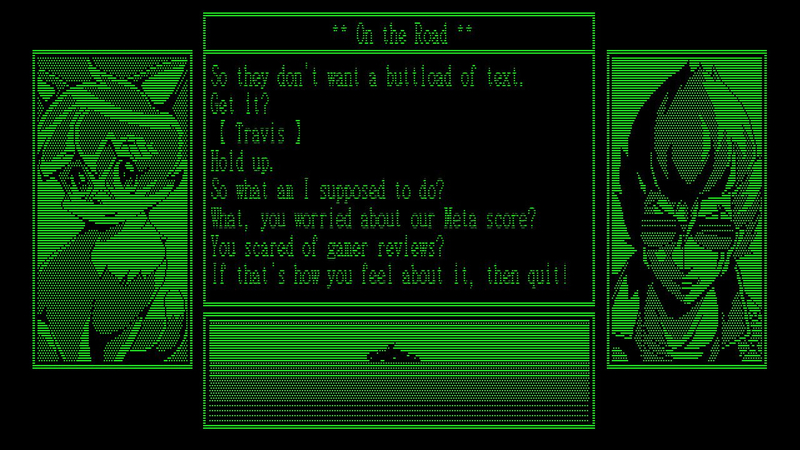 Upon finding themselves in the console, Travis and Badman must fight their way out of the Death Drive by defeating bosses associated with various genres of games. If Travis and Badman can defeat all 7 games associated with the Death Drive, then it will grant a wish to the victor (it’s basically like Dragon Ball). This is the general framework that Travis Strikes Again’s story works within, although it does make twists and turns along the way. 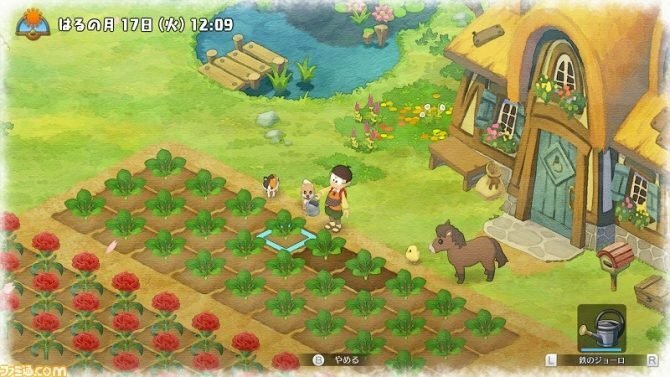 The story is every bit as wacky as the other two games in the series and for the most part, I found it compelling enough to continue pushing me towards the next major beat. Travis Strikes Again’s narrative likely won’t stick with you for long after you see it through, but in the moment, you’ll find it to be a journey full of laughs. Speaking of laughter, in typical Suda51 fashion, the writing itself is perhaps the strongest part of Travis Strikes Again’s entire package. Travis is his usual foul-mouthed self and the many other new characters in the game are just as funny in many ways. 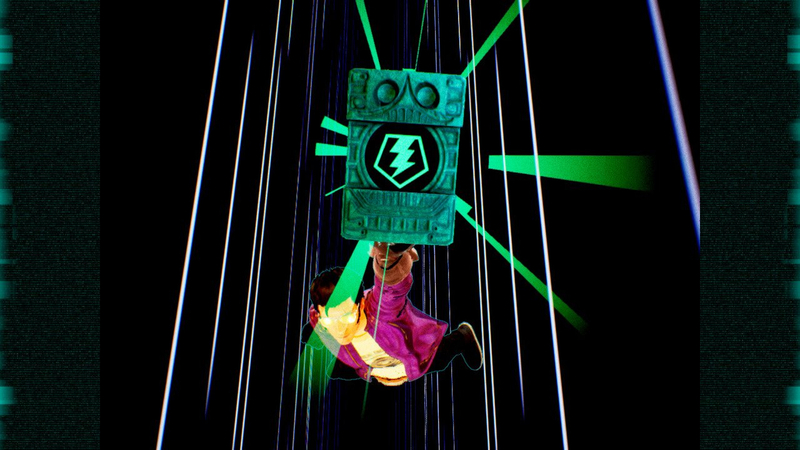 There’s also the usual slate of fourth wall breaking, meta discussions about the design of the game itself, and tons of references to other famous pop culture pieces. The one section of the game though that puts an emphasis on storytelling and dialogue more than anything else is found in the visual novel portion of Travis Strikes Again. Yes, even though this is primarily an action game, in between playing through each level of the Death Drive Mk-II, Travis will have to set out to find another Death Ball, which is essentially this console’s version of cartridges upon which different games are stored. These sequences, known in-game as Travis Strikes Back, play out like old-school visual novels that are synonymous with some of Suda51’s past work on titles like The Silver Case and The 25th Ward. Because the writing as a whole in Travis Strikes Again is more often than not engaging and funny, these sections of the game are enjoyable, even if you’re not the biggest fan of visual novels. These portions also don’t last too long because as is noted in-game, gamers “don’t want a buttload of text.” It’s also mentioned that they keep these sections brief in order to not hurt their overall Metacritic score. 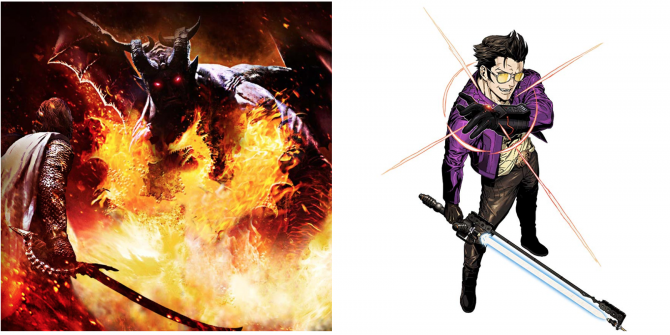 While the visual novel sections of Travis Strikes Again may not be hurting the game’s Metacritic score from my own perspective, the one aspect that I was much less hot on was that of the combat. Travis Strikes Again’s main gameplay loop is incredibly simplistic and will have you seeing most of what it has to offer for the entirety of the game’s duration after the first hour or so. Deviating from previous entries in the series, TSA sees you controlling Travis more often from a sort of top-down angle as you progress through each level using your beam katana with light and heavy attacks along with utilizing four special abilities that you can equip at any given time. 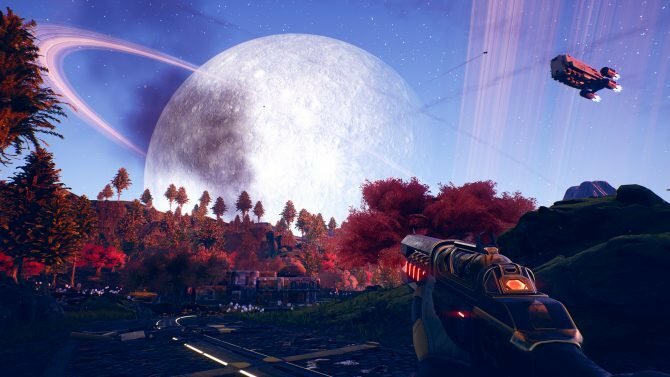 The only drastic changes on the gameplay front come about when you swap out these abilities to give your own version of Travis a different sort of playstyle. Unfortunately, not all of the abilities are all that enticing to use and I found myself sticking with the same set for most of my own playthrough. Travis and Badman can each also be leveled up with XP that you gain, but these simply just increase your health and attack damage and nothing more. Combat as a whole in Travis Strikes Again I wouldn’t say is bad, just very samey throughout. What makes gameplay even more lessened than it already is though is the fact that each level kind of plays out in the exact same way over and over. Basically, all seven stages in the Death Drive Mk-II will have you fighting off waves of enemies only to then move on to another section of the level and be forced to fight yet another grouping of, more or less, the same opponents. Travis Strikes Again somewhat resembles a beat ’em up game in this manner as essentially all you end up doing is fighting floods of baddies only to then move on just a bit further in the level and be forcefully stopped and tasked with fighting yet another group. Enemy types also aren’t varied enough to really cause you to change your playstyle in these fights, either. I also found it a bit disappointing that even though each game you enter within the Death Drive Mk-II was supposed to represent a different genre–puzzle, action, racing, etc.–more often than not they almost all played in the exact same hack-and-slash manner where you just end of smacking foes with your beam katana. There are some additional gameplay elements found in certain levels, but these sequences are often only interspliced between the combat sections, which almost never change. 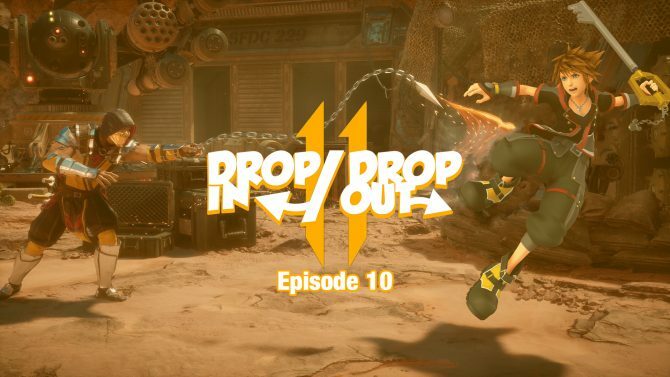 The only other notable element of each level is that there are some hidden collectibles to find that can be used to trade-in for new attire for Travis to wear. If you collect certain coins spread throughout each level, you can then swap them out upon returning to your trailer for a variety of t-shirts, most of which feature symbols and logos from popular indie games. From more well-known indie gems like Undertale to even some games that haven’t released publicly as of this writing like Ape Out, there are quite a few different cosmetics that you slap onto Travis to represent your own favorite indie darling. 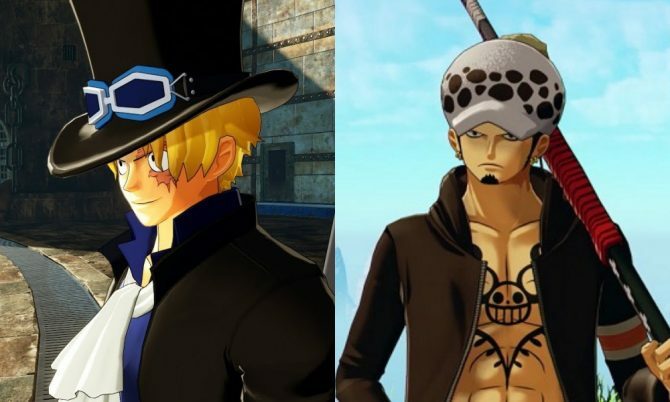 Sadly, the game never really shows enough of Travis’ character model in each level for you to really be able to make out what it is that he’s wearing anyway, so it’s kind of a moot feature. Still, this was a fun crossover and I enjoyed seeing other indies represented within Travis Strikes Again. Even though I feel like I’ve been rather negative on some of the main portions of Travis Strikes Again, there are so many small moments down the stretch of this game that made up for some of my previous disappointments. Many of these surprises I can’t mention in this review simply because they would be spoilers, but, man, there are some really fun and exciting things in Travis Strikes Again‘s later hours. To fully appreciate these moments you’ll likely already have to be a fan of Suda51’s work, which means that many of these instances I’m referring to specifically might not land with all players, but for me, they made for some of the most jaw-dropping sequences I’ve seen in any game in quite awhile. I’m looking forward to seeing how other players respond once they reach these moments, as well. The only other major feature of Travis Strikes Again is that of co-op, which I admittedly didn’t play much of for this review. While I tested the features out a time or two, co-op is rather straightforward in Travis Strikes Again and allows one player to control Travis and the other Badman. 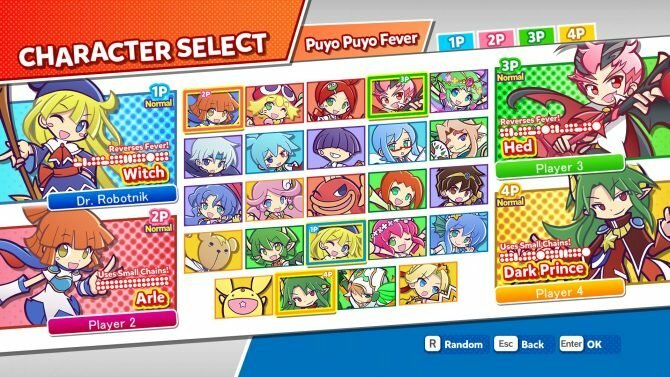 You can utilize some unique special moves in co-op that you cannot use in solo play, but other than that, it’s just an added bonus that will allow you to play through the game with a buddy, if you so desire. 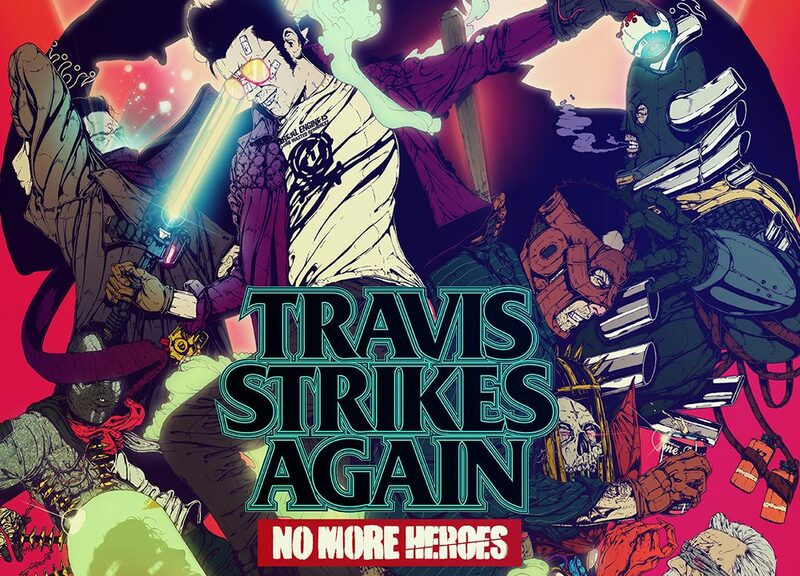 Travis Strikes Again: No More Heroes might not have been the game in the series that I was hoping to receive a few years back, but it’s no less a fun return for one of my personal favorite characters in gaming. Even though combat and level design are easily the weakest portions of Travis Strikes Again, the quippy writing and wacky tone constantly keep things fun even in the game’s duller gameplay stretches. For a project of much smaller size and scope compared to previous No More Heroes games, Travis Strikes Again still carries the legacy of the franchise forward in a meaningful way that will hopefully culminate next in a proper third installment to the mainline series.